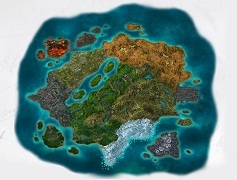 In general, main activities in Entropia Universe (except chatting), like hunting, crafting, mining, costs something. Its the decay, ammo, probes, materials, etc. Those activities give u some returns ofc, a bit random tho - u can get a cumulation (global, hof), but mostly, u will have about 80-90% of ur costs back. Its not good at all... cuz like this, u would lose the cash most of the time, and the game could cost u too much. How to compensate urself that 10-20% lose? What is the markup? Markup is ur god here in Entropia, seriously. Markup is the indicator how much ppl want something, and same time, how hard it is to get. More ppl want that, and harder its to get, the MU will be higher. The rare and good gun its an easy example - ofc if there are just a few guns that good (limited supply), there will be a huge demand for it. Huge demand and low supply makes ppl sell things for more. Sometimes its a chain of dependances. Rare ingridient that allow u to make a good item, makes to cost them both alot. Alright, so we got a situation here, were we are losing most of the time doing basic things! How to survive here? Help urself by improving the quality of ur returns, or saying it stright - hunt for Markup Items. It is why i rly like the Planet Cyrene - we got plenty of items with MU here. How to do it? U have to know alot about mobs, their loot, and the market (who and what buys for how much). A good example is the Basic Targetting Chip - its the crafting component that is required for many crafting items. Those items are also unlimited weapons, that used to have some demand, as u probably know. Ppl want those guns, so other guys want to craft them. As a result, this chip has a nice MU. Best part of this little story is this, that the mob dropping those chips is easy even for beginner avatars - Scout Bot at any maturity. Hunting those doesnt cost much, but if u loot 1 chip only, the loot quality will improve dramaticly, cuz from its 2pec tt value, u can get 10-12ped on each. Be patient tho, if they drop alot, the MU wouldnt be so high. Later ill make a list of MU items u can go for on Cyrene. get know what ppl are looking for, whatever it is, good weapon, nice shirt, or fast vehicle, cuz they will pay more for it, and maybe u can loot/mine/craft it. get know what mobs drop those items / what areas are capable to spawn minerals. get know who needs certain items - if u find direct buyers, u will avoid Auction fees. Sometimes price to direct buyers got to be lower, but u will sell ur stuff faster. Dont forget about such basic thing like sweating - if ur returns gets rly bad, sweat some lower mobs that u can hunt also for a mission, Maybe it will not get any faster, but more eco for sure. Try to sort things u do here in entropia between 2 categories: fun and profitable. Fitst one can give u some income ofc too, but i would say, there are activities, that are a bit more risky in terms of returns. It can be hunting large mobs, mining with bigger amps, crafting on condition. Dont spend all ur peds on this type, never. Alwasy have some peds, to bounce back doing second type activieties. Second category, is for activities, that u can back to, and fix ur ped card level. Hunting lower and more annoying mobs for MU items, sweating, providing services to other ppl (transport, healer, etc). In the second category u can put most of daily missions on Cyrene, that reward with Imperium or Zyn Tokens - missions are easy, cheap, but tokens have good MU. Remember to stack some before u list them on auction, or the auction fee eats ur profit 😉 Check missions ! Alright, this was in general about how to make ur returns better by improving its quality. Another story, related to this, is how to hunt / mine / craft cheaper (more eco), but those topics will be explained in future posts. Now ill give u a small tip for hunting: to have better returns, always use those guns which u use at its best - in other words, u maxed its stats. U will hit more often, and for more dmg. When u use a gun which u didnt max yet, u do less dmg, but ur costs of every shot are same! More about this and other aspects of eco hunting, in upcomming posts.